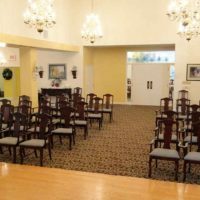 Before Photo 1 – Chairs are used multiple time per day, every day. 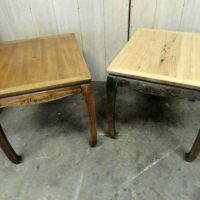 They recieve a lot of wear. 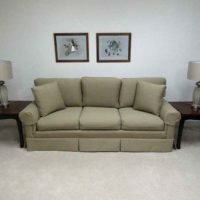 Before Photo 2 – More general wear. 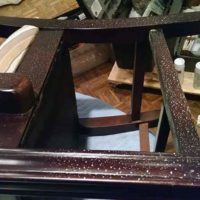 Before Photo 3 – Sometimes carpet cleaning splatter gets out of control and if not wiped off while wet, it becomes hard to remove. 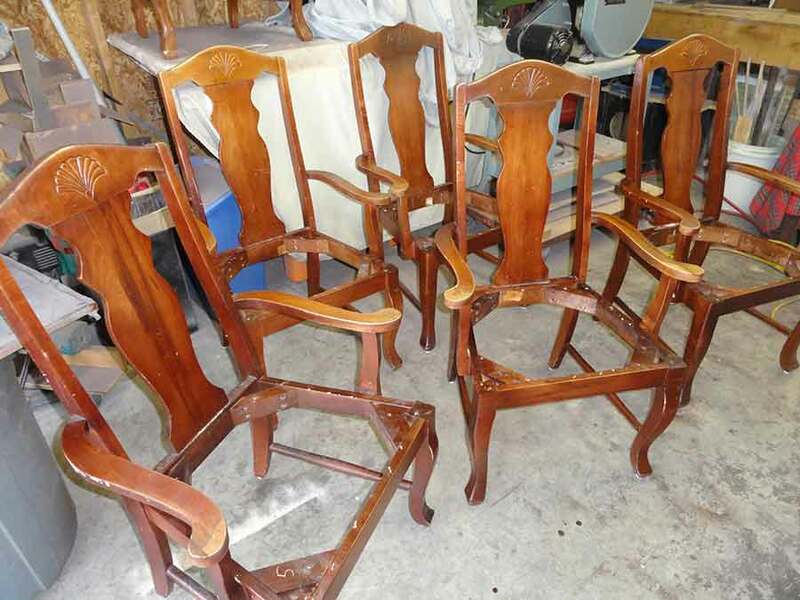 After Photo – 175 chair dining room. 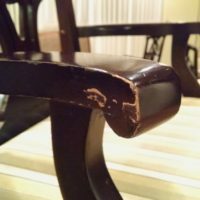 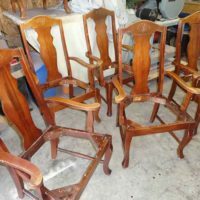 All chairs are cleaned and scratches touched up to look like new! 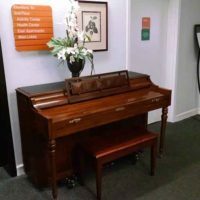 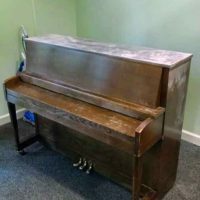 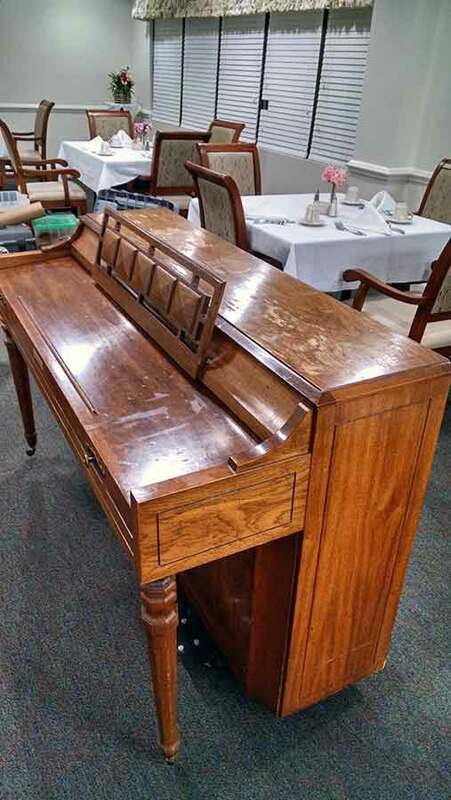 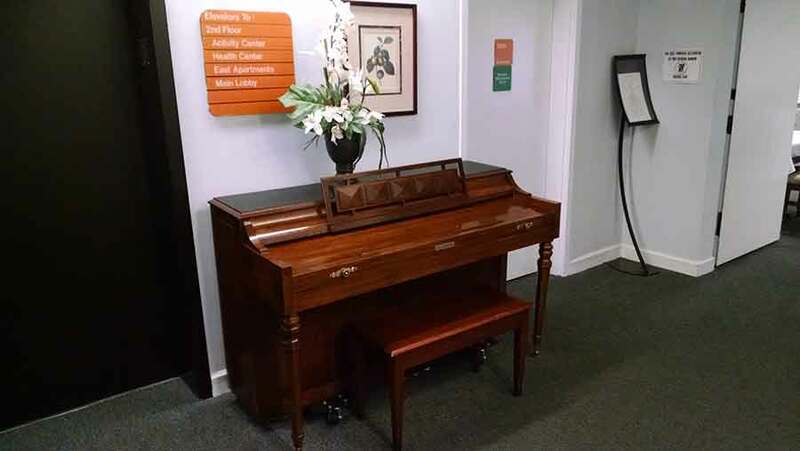 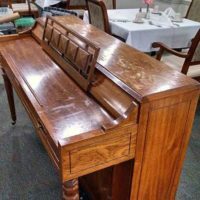 Before Photo – This piano sits in a dining room of a retirement center. 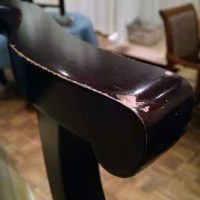 It took a lot of abuse over the years. 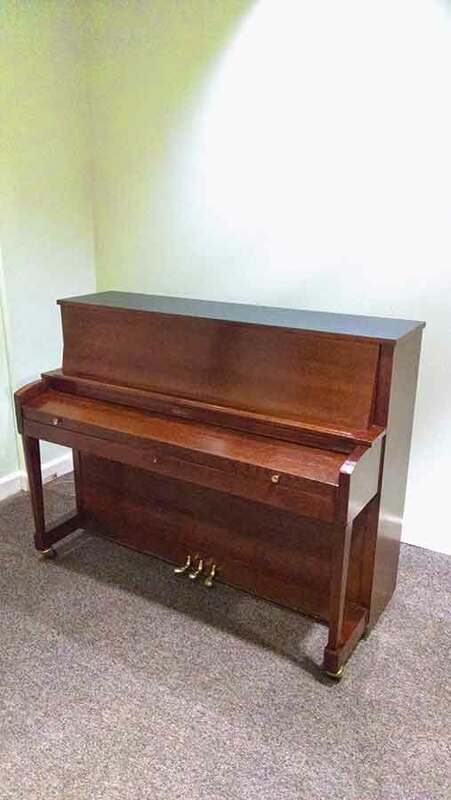 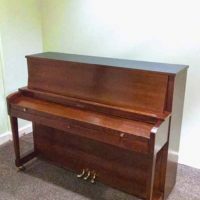 After Photo – We refurbished this piano onsite and also covered the water damaged top with a black plastic laminate. 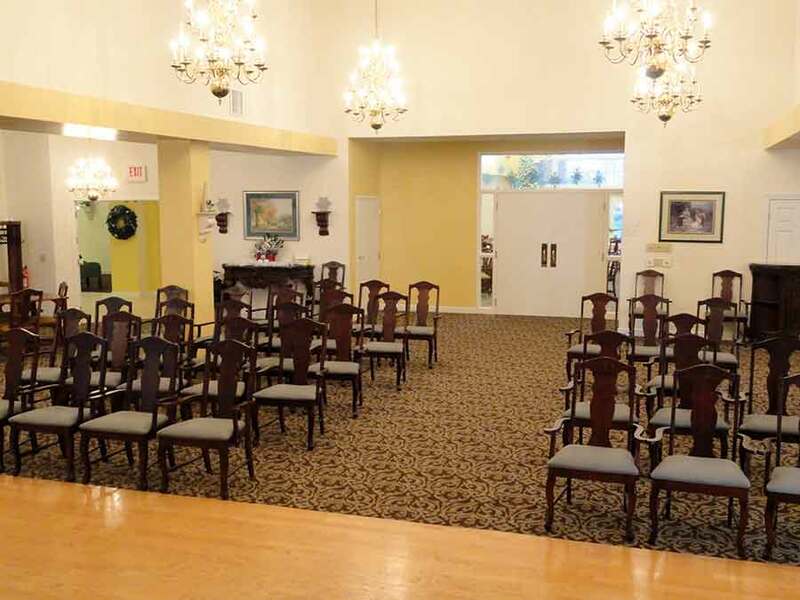 After Photo – All the work was completed onsite at night. 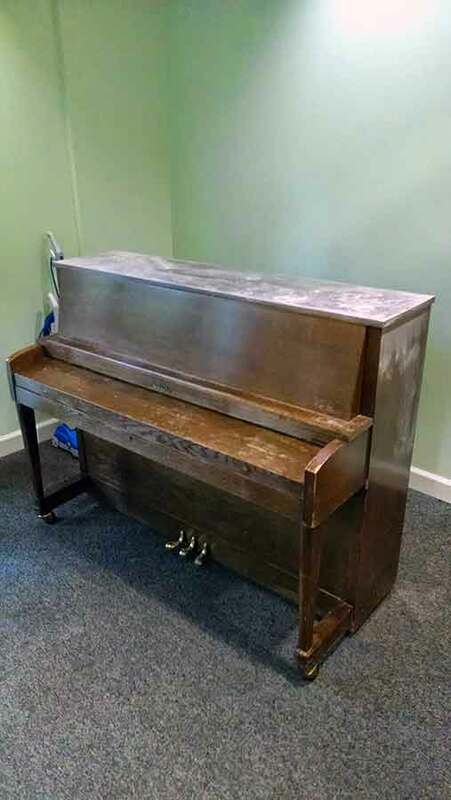 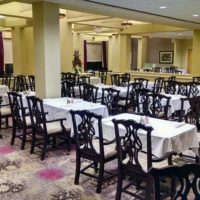 When the residents woke and came to breakfast, they thought they had a new piano. 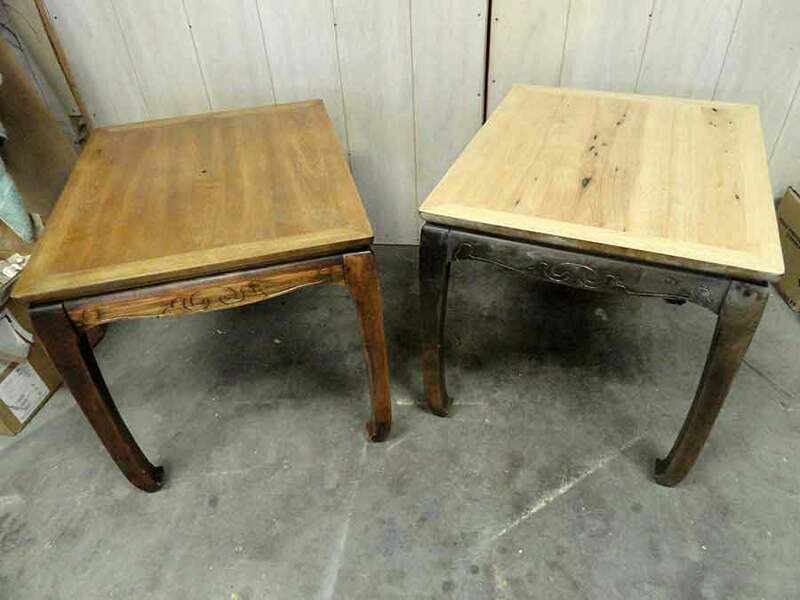 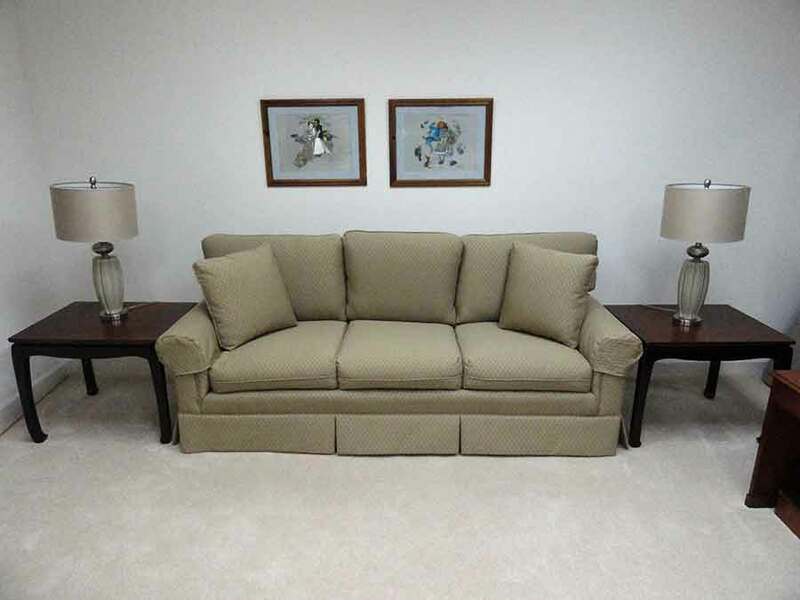 Before Photo – These 2 tables were manufactured at the “Lane Furniture Company” in Alta Vista, VA.
After Photo – Refinished to an “Espresso Shade”.